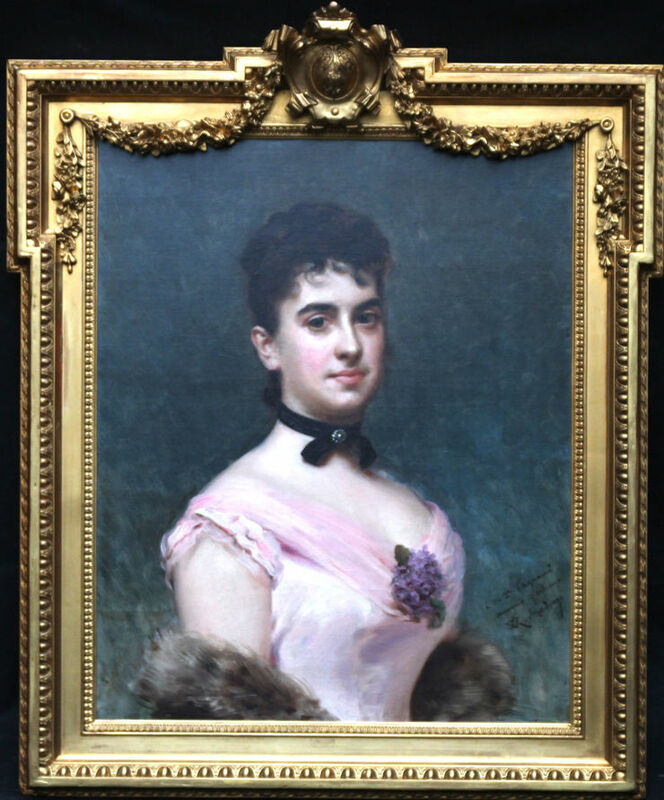 Painted by Raimundo de Madrazo y Garreta a fine oil on canvas which dates to 1890 and depicts a portrait of a beautiful woman, Nina Fagnani. She is the French American socialite and minature portrait artist who is wearing a lowcut dress with a flower, silk necklet and her hair up. He was a famous portrait artist in his day and this is dedicated to the sitter. 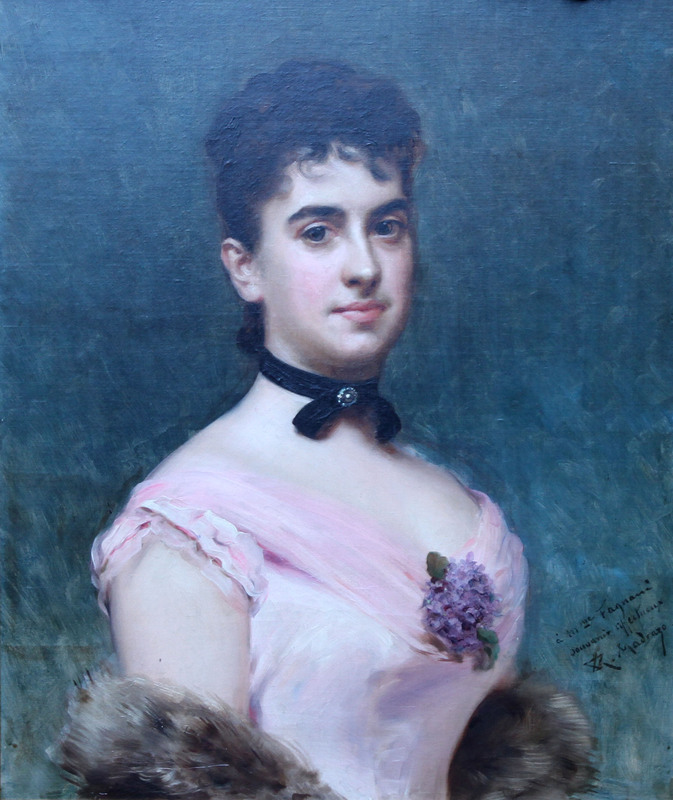 Garreta was famous during his lifetime and painted portraits for wealthy French, American, British, and Argentine patrons. He was also known for his skilful and often flirtatious genre scenes, such as this painting in the Lehman Collection. In this scene, a couple dressed in extravagant costumes share drinks in a quiet conservatory after a ball. The male leans across the table, gazing at the coquettish blonde female whose face is hidden behind a black mask. She drapes her fingers across her chest, one of many gestures and details in the painting that Garreta uses to evoke a playfully suggestive subject. The artist further entices the viewer with his beautiful painterly effects seen in the way that he conveys extraordinary material satin, fur, porcelain, glass, feather, and velvet, all bathed in light.